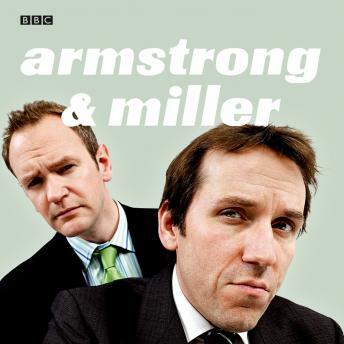 Welcome to the strange world of Armstrong and Miller, which includes some comedy sketches with tough-guy cops in 'Parsons and Lampkin' (and Lampkin's mate Steve), and there's an insider's view of National Trousers Day - 'because involvement should be as easy as a walk to the wardrobe'. More highlights include some really macho rock climbers, and the corrupt world of mountaineering: is Everest the tallest mountain, or are there others they keep quiet about so they don't have to climb them? There's a track from rock legends Strijka, and you can also hear how Logarythm - the world's most successful school band - got together. Aided and abetted by Samuel West and Tony Gardner, this is the complete radio series, which contains all four episodes.